Hi bookish friends! How are you? I hope you had a great week! Mine’s been pretty swamped, with NaNoWriMo mostly, but well…by the way, while we’re on the subject, would you be interested in a blog post about NaNoWriMo? Let me know in comments! In this lovely friday, I’m coming to you with another little book tag, yay! I was nominated for a lot of tags, so I’m trying to do my best to do them all, as I find them so much fun! I hope you’re enjoying it! This one’s called the Emoji Book Tag, and the wonderful Joey @ Thoughts and Afterthoughts and Trisha Ann @ The Bookgasm tagged me for this. Thanks so much! If you don’t know them, please do check out their awesome blogs right away. Okay, so the rules are : I’m supposed to pick up some of my most-recent used emoji, and pair those with books. I cheated a little bit, because I love using animal emojis, and I had no idea what to pair up with the penguin, so…here you go. Some of these I use often, and others, not so often…care to take a guess? The more I think about this book, and more I think that I really didn’t enjoy it that much. I gave it a few stars, still, but it was just annoying to me. 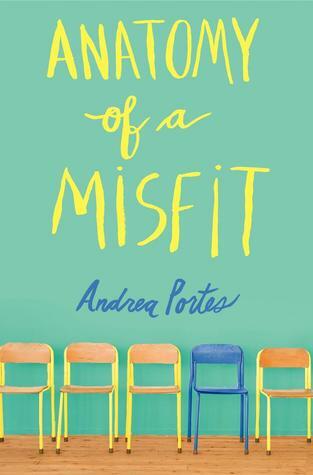 The unlucky winner at this, is Anatomy of a Misfit, by Andrea Portes. Sorry, main character, you weren’t for me, at all. I will never stop telling people how shocked and confused I was while reading this book. 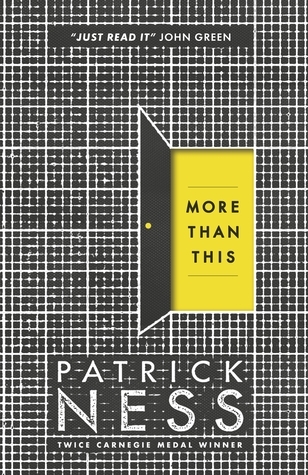 It’s, drumrolls, More than this, by Patrick Ness! My first book of his, and certainly not my last. I mean, if you saw that ending coming, then I don’t know who you are. I’m thinking that I had a good laugh while reading An abundance of Katherines, by John Green. It’s one of the less-talked about of John Green’s books, and this kind of makes me sad, because it’s as genius as the others are. Even if there’s a little bit of maths, in it. And it’s hilarious. Well, I laughed, so I guess I have the same sense of humor as John. 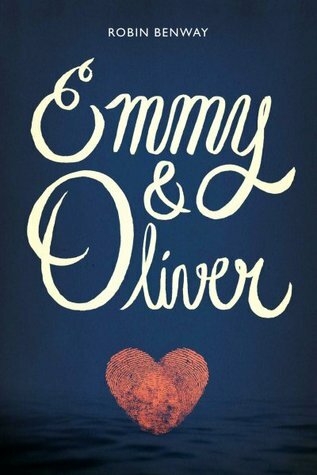 I expected to like this book, because of its beautiful synopsis, and damn, I ended up loving Emmy & Oliver by Robin Benway. Such an endearing story. I loved the characters, the friendship, the love story, the family dynamics…okay, I love everything, and this emoji was basically my face while reading the whole thing. Okay, I admit it, I cry kind of easily when stories are a little bit emotional. 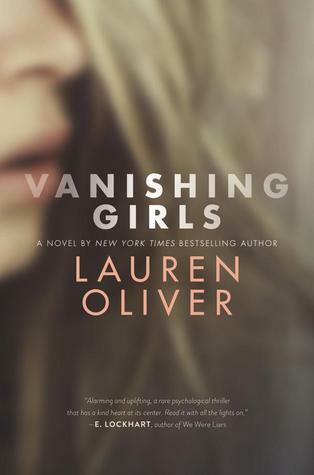 I guess I could come up with more than one book for that emoji, but I will go with Vanishing Girls, the latest Lauren Oliver’s book. I love her writing style and her way of telling stories. And, hm, I cried. In public. While reading this. So, okay, thank you, Lauren, Thank you SO MUCH. I’ve seen this post around a lot, so I’m not going to tag anyone to do this, I’m too scared you’ve all already done it, ahah! BUT, if you feel like joining the fun, do it again, or do it for the first time, then consider yourself officially tagged! I only read An Abundance of Katherines and I agree with you. I have to say it’s not my favourite John Green book, but I really liked it. I am torn between Paper Towns and TFIOS. 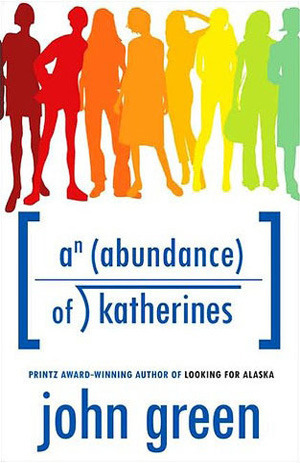 An Abundance of Katherines definitely comes before Looking for Alaska. I think it’s only because I’ve read Paper Towns before Looking for Alaska and then they seemed very similar. If it had been the other way around, I’d probably have liked LfA better. YES! I totally get it! The first book we read of an author can really determine a lot. Omg I really need to read More Than This! I’ve avoided buying it because the blurb makes it sound kind of scary… but I’ll have to do it since everyone loves that book! I should probably read Chaos Walking first though 😀 I’ve been meaning to read Emmy & Oliver for months now! It’s been sitting on my shelf waiting to be picked up… SOON. I will do it soon! Ahh this is an AWESOME tag! And I totally agree with your Anatomy of a Misfit summary. Ugh, that book drove me a little batty. And I’m still not over that revelation in Vanishing Girls. *collapses in a puddle of tears* TALK ABOUT EMOTIONAL. Hehe, I haven’t read any of the books you mentioned in this tag but I do have them on my TBR! Especially Vanishing Girls (because like in another conversation thread we have going on I mentioned I loved Before I Fall!) because the premise sounds so interesting. I’m sorry you had to cry in public, but I’m glad the story was just that good!